Charles Augustus Lindbergh was an American aviator, inventor and writer who made the first solo non-stop flight across the Atlantic in 1927. Lindbergh was born in Detroit in 1902 and spent his childhood on his family’s farm in Minnesota. He was fascinated with planes and aviation from an early age. After completing high school, Lindbergh spent two years working on his family’s farm. Then he enrolled at the University of Wisconsin to study engineering but his love of aviation drew him to enter a flight school in Nebraska without finishing his engineering degree. After working for some time as a mechanic and parachute jumper, he purchased a war plane in 1923 and made his first solo flight. In 1924, Lindbergh enrolled at a U.S. Army flying school in San Antonio, Texas where he graduated at the top of his class. In 1926, he became the first air mail pilot, flying between Chicago and St. Louis. He obtained financial backing from some businessmen to help him win the $25000 prize offered by a New York businessman by the name of Raymond Orteig. The prize was to be given for the first non-stop flight made between New York and Paris. Lindbergh undertook this challenge in a plane named “Spirit of St. Louis” built by Ryan Airlines, Inc. which he had also helped design. He took off from Roosevelt Field, New York, on May 20th, 1927 and completed his flight to Paris in 33 and a half hours. He carried with him five sandwiches, water, maps and charts, but no parachute or radio. He had no crew member with him and fought adverse conditions such as fog, icing and drowsiness. After flying for 3600 miles, he finally landed at Le Bourget Field near Paris. Lindbergh quickly became an international hero and was awarded the “Congressional Medal of Honor “and the first “Distinguished Flying Cross” by the U.S. government. Lindbergh toured 82 American cities, meeting with people and promoting the commercialization of aviation. He even flew to Latin American countries as a goodwill ambassador for the U.S. government. He married the daughter of the American Ambassador to Mexico in 1929. His wife Anne was the first woman in America to earn a glider pilot’s license and later a pilot’s license. Lindbergh and his wife flew to five continents, mapping routes for commercial air travel on the way. Charles Lindbergh and his wife moved to England, and later to France in the 1930s. This was done to seek privacy from the media after the tragic kidnapping and murder of their first child in 1932. In France, Lindbergh met the renowned French surgeon Dr. Alexis Carrel and together the two of them continued working on an artificial heart to keep organs alive when they had to be removed from the body during surgery. This was an important development and led to successful open heart surgeries and organ transplants. Lindbergh was an avid supporter of Robert Goddard and helped to promote his early rocket research. He was the chairperson of the National Advisory Committee for Aeronautics. His other interests included environmental preservation and in the 1960s he began working towards the protection of endangered species such as humpback and blue whales and even contributed towards the establishment of a national park. He also worked to help the preservation of primitive Philippine and African tribes. Lindbergh was also a renowned writer and wrote seven books in his lifetime. One of his books titled “The Spirit of St. Louis” won a Pulitzer Prize in 1954. Lindbergh and his wife had five children after the death of their first child. 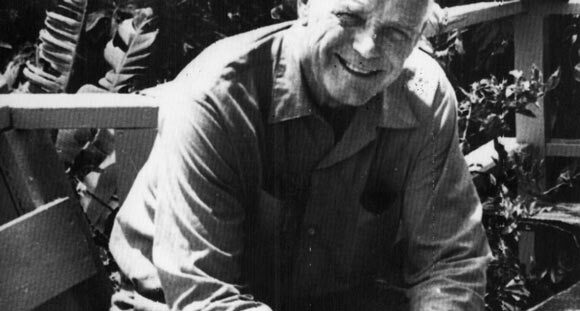 He died in 1974 at his residence in the island of Maui, Hawaii.